Photo: arbyreed. Creative Commons BY-NC-SA (cropped). Eight of the 10 companies’ CEOs met in Paris last week and issued a joint statement saying they would “play their part” in battling climate change, ahead of the United Nations climate summit which opens in November. They also pledged their commitment to reducing greenhouse gas emissions in the hope of limiting global warning to 2°C. The Paris meeting on Friday is seen as a counter-offensive designed to deflect criticism of the companies, who have acknowledged that the current trend in greenhouse gas emissions is too high to meet the UN target of limiting global warming to no more than 2°C. Christiana Figueres, the UN climate change chief, told the oil companies they need to step up their own efforts to combat global warming, after six firms – BG Group, BP, Eni, Royal Dutch Shell, Statoil and Total – wrote to her calling for world governments to introduce a global pricing system for carbon emissions that would punish polluters. 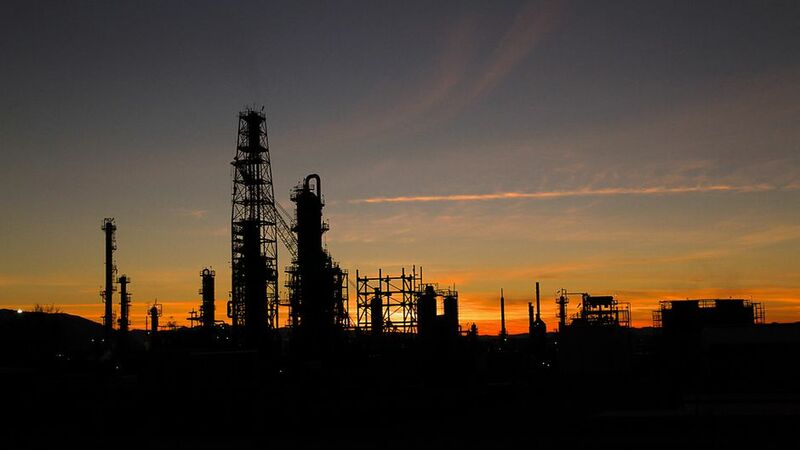 In their joint statement the 10 oil and gas company CEOs from the BG Group, BP, Eni, Pemex, Reliance Industries, Repsol, Saudi Aramco, Shell, Statoil and Total, said: “Our shared ambition is for a 2°C future. It is a challenge for the whole of society. We are committed to playing our part. Kim Willsher is an award-winning foreign correspondent based in Paris.